school with online sign up registration software. 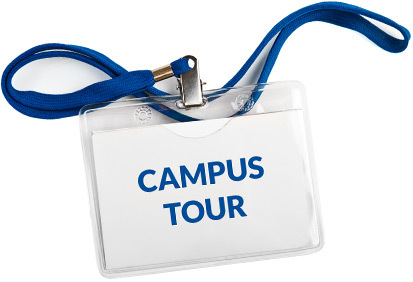 Book college representative appointments at your school with online sign up registration software. 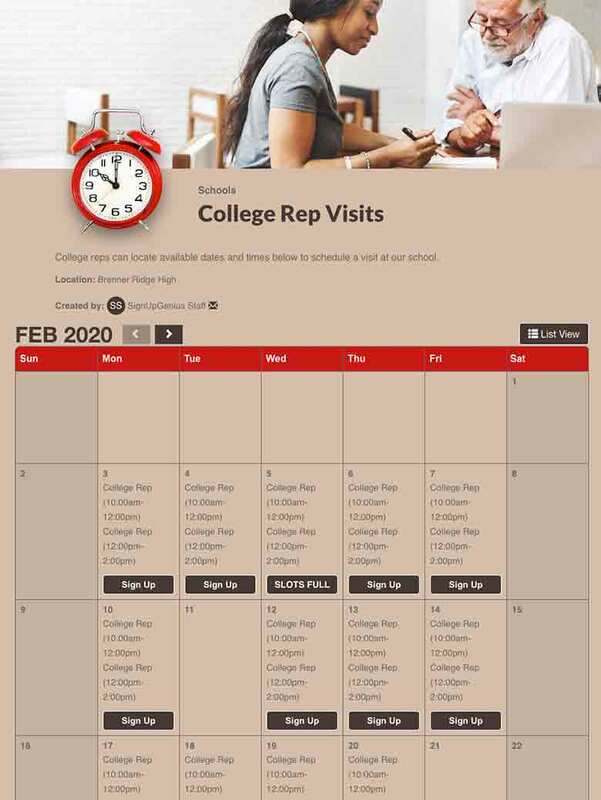 Book college rep visits at your school with an online sign up tool. 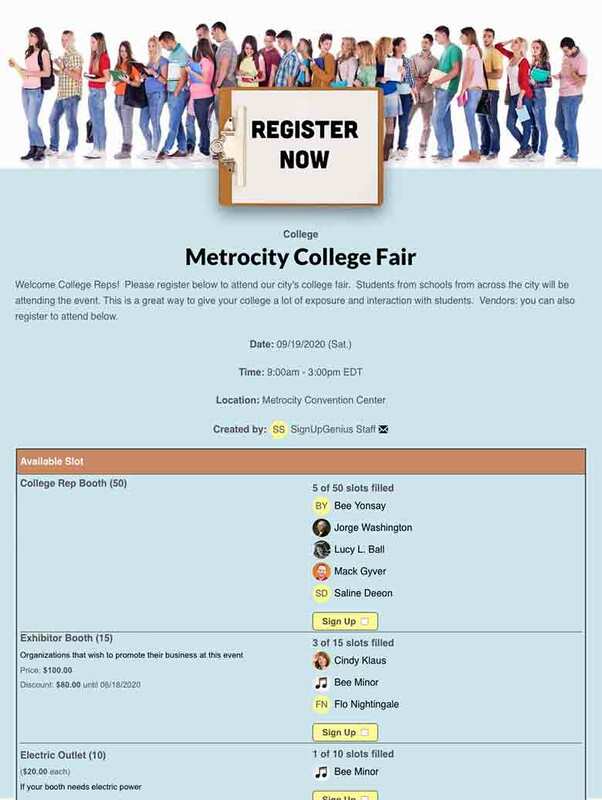 Plan a college fair event at your school and recruit college reps and exhibitors with an online sign up. 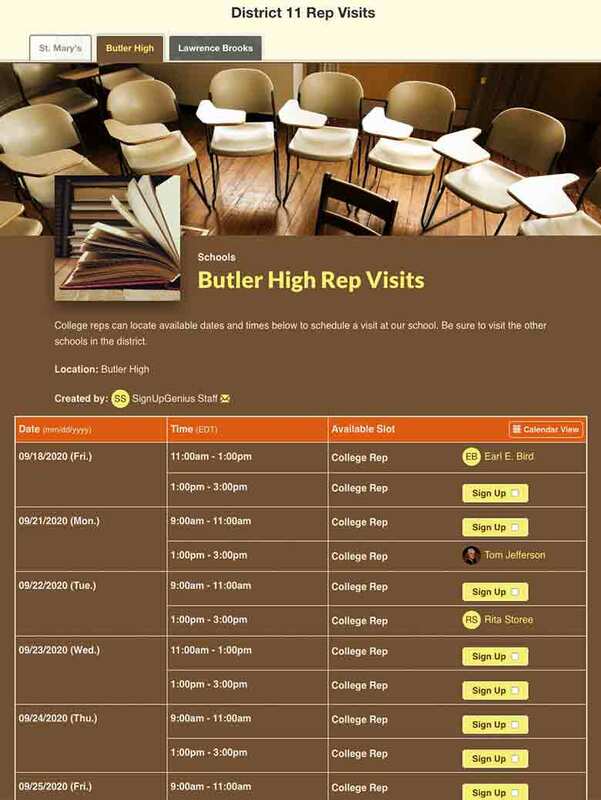 Manage college rep visits across multiple schools or across the district with an online registration tool. 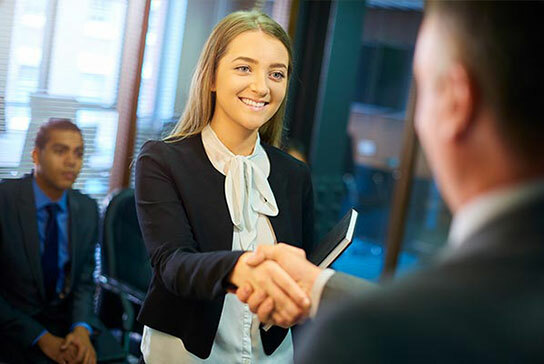 Prepare for your college interview with these 40 tips for answering common questions. 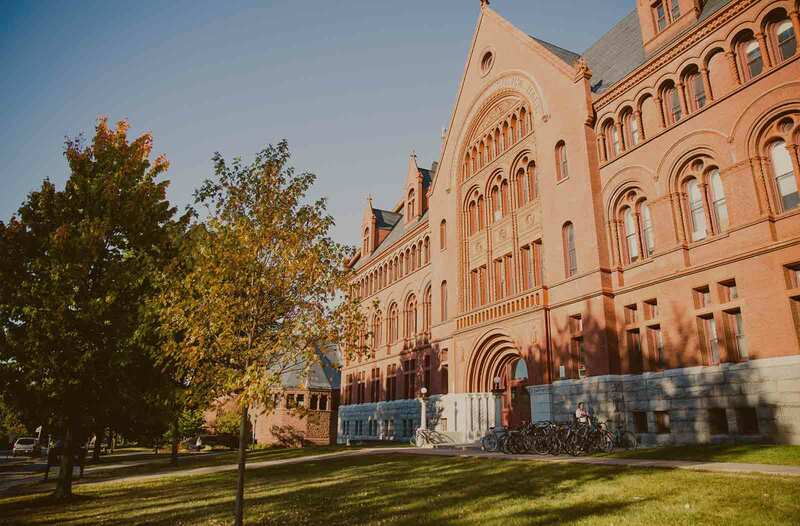 Get to know a potential college with these 25 useful questions for college reps.
Make the most of your college tour with this helpful advice. 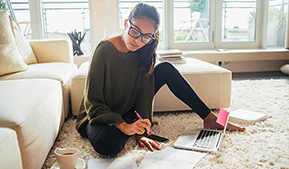 Make a good first impression on your college application by writing a strong essay. 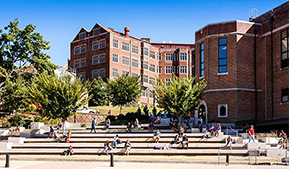 SignUpGenius is a game changer in the college planning process that benefits reps, counseling secretaries and students. It increases exposure, transparency and consideration by introducing students to schools they know nothing about. SignUpGenius is the ultimate tool for scheduling meetings and events that involve multiple people. It's a cost and time saver in the way you don't have to be on the phone or going back and forth with emails to schedule meetings. I love it! This tool is awesome. I have been a volunteer coordinator for the CHS Titan Band for the past three years. It's always been a hassle to scramble for parent volunteers the week of an event, doing everything via email. This year we started using SignUpGenius, and every single one of our events is completely filled. It's so easy to set up and use. Thank you, thank you, thank you! SignUpGenius is a truly fantastic website that has been incredibly useful in helping organize participants for an undergraduate project. It is simple and intuitive to use, and I would certainly recommend it for use in similar projects. SignUpGenius allowed my student organization and me to recruit and organize over 200 volunteers for a charitable event. We were able to double our volunteer force from last year thanks, in large part, to SignUpGenius. 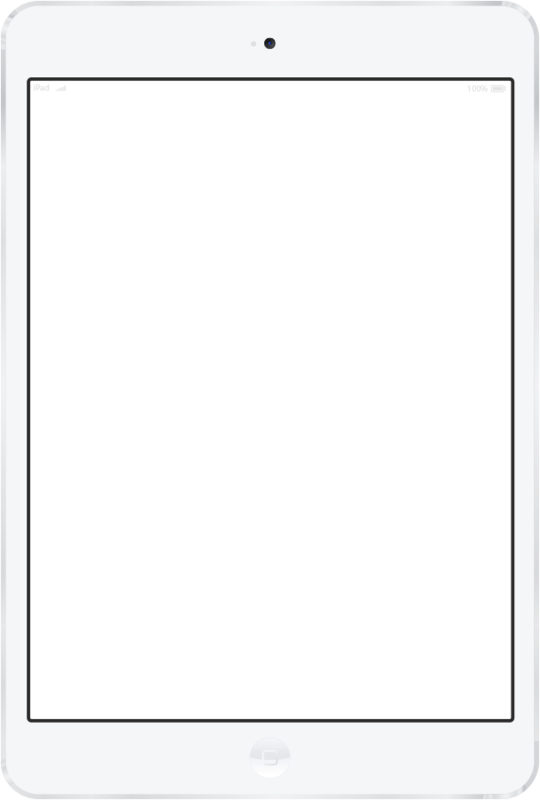 An absolutely invaluable tool that we will continue to use for years to come. Thank you so much for a perfect site and service! The ability to export the volunteers and their information to Excel saved me untold amounts of time.